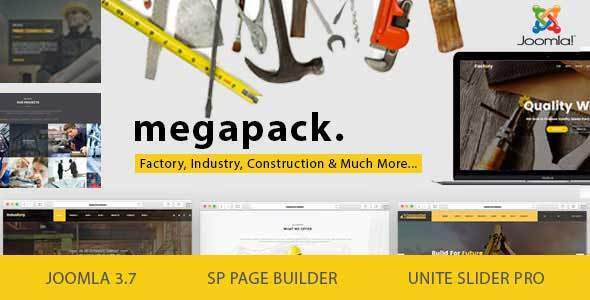 Mega pack is a modern and unique Joomla template for factory, industry and construction companies who’s looking for a design which can be used for their business website and Projects Portfolio websites and much more. It’s easy to customize Joomla template for your purpose. Mega pack template has everything you need to start your next unique business website!